This blogpost was originally posted on Instabill’s satellite website, Instabill.info, on June 12, 2015 with the help of Ed Black, a former PCI Director at Comodo, now a Territory Manager at Heartland Payment Systems. Ed Black says the worst thing a small business owner can believe is that his/her company is safe from hackers, simply because hackers don’t target small businesses. As the former PCI Director at Comodo, an internet security provider in Clifton, NJ (currently a Territory Manager at Heartland Payment Systems), he has news for anyone who believes as much: It’s not only the Targets, Home Depots and PF Changs of the world that are in the crosshairs. Small business hacking is unfortunately just as common. A June 2015 news item in The New York Times revealed that half of the nearly 700 small businesses surveyed by the National Small Business Association reported infiltration of its data systems, up 44 percent from a year ago. More than two-thirds of those business were hit twice. Mr. Black offered a disturbing figure when he used to train small businesses on how to use his former company’s PCI DSS program: 85 percent of all data breaches occur in small businesses, he says. More disturbing, he added, is the average exposure of a breach: 197 days. “How many unique credit/debit cards are captured during that time?” he asks incredulously. Small businesses are attractive to hackers because most have bare-bones security measures easily penetrable. Hackers then intercept credit card data maintained by the business – usually a retailer or restaurant – and quickly sell the information on rogue websites such as rescator.cc, a well-known site selling hacked credit card numbers. Who Is Behind Small Business Hacking? At the 2014 Merchant Payments Ecosystem trade show in Berlin, this very question was asked during a seminar. The response from a panelist was immediate: Eastern Europeans, mostly male, some as young as late teens. The Times article even makes reference to such. As the US migrates to EMV chip-enabled credit cards beginning Oct. 1, 2015, hackers will likely turn to e-commerce websites, as they did in Europe and Canada. Mr. Black has seen e-commerce merchants begin to take on more aggressive defenses to ward off hackers. The best defenses against e-commerce fraud are PCI DSS compliance for your website and 3D secure technology, both of which Instabill offers its merchant partners. 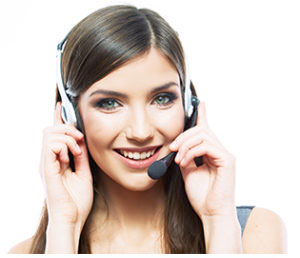 Contact a live merchant account manager directly at 1-800-318-2713 or select the live chat option below to find out more.